Dawn to Dusk R.V. & Boat Storage has been offering safe, secure and highly affordable vehicle storage since 2004 to customers in Hemet, CA and the surrounding communities. As a family owned and operated small business, we take pride in offering personalized service to each of our customers. Owning a recreational vehicle, boat, ATV or other vehicle can be highly enjoyable, but unless you use it frequently or have lots of space on your property, where should it live when it’s not in use? 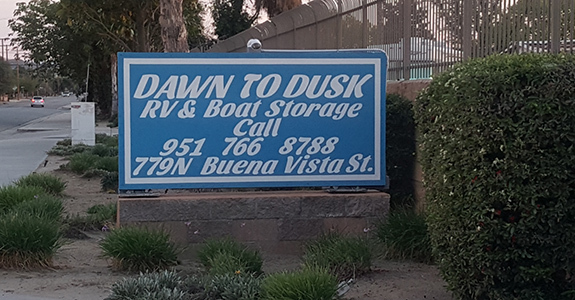 Luckily, for those in need of RV, boat or motorcycle storage in Hemet, CA, there’s Dawn to Dusk R.V. & Boat Storage. 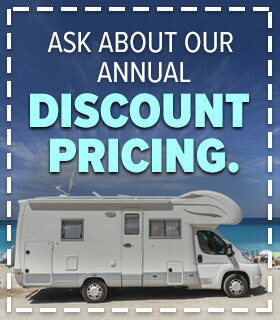 Since 2004, we’ve been offering premium RV storage in Hemet, CA at our secure facility, and we’re known for giving our customers friendly service and great deals on vehicle storage. Whether you need long-term boat or ATV storage in Hemet, CA or just need a temporary home for your RV, you’ve come to the right place! Dawn to Dusk R.V. & Boat Storage is a five-acre outdoor recreational vehicle and automobile storage lot in Hemet, CA. We are pleased to provide our customers with the peace of mind that comes from knowing their vehicle is safe, as we offer 24-hour surveillance, infrared security and fully lit premises at our RV and boat storage lot in Hemet, CA. 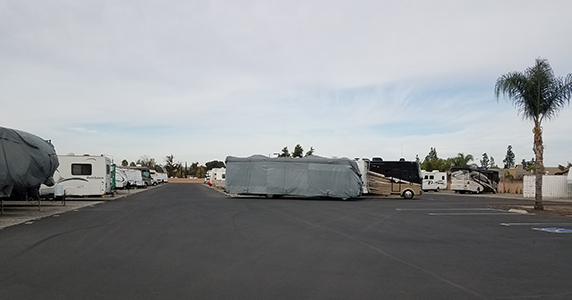 In addition to safety and security, our RV storage lot in Hemet, CA offers resident management, premium spaces, paved drive lanes and other amenities that are designed to make storing your vehicle with us easier and more convenient. We offer five secure acres of storage for vehicles of all types. We’ve been a family owned and operated business in Hemet, CA since 2004. All of our employees are trained and knowledgeable regarding the storage of boats, RVs and other vehicles. We provide 24-hour peace of mind through infrared security and 24-hour surveillance. Our rates are very competitive and fair. March 10, 2017 John V.
"I recommend Dusk to Dawn to all of my friends with an RV. We have been with them since we bought our RV in 2015. It is a safe and clean faci..."
"Dusk to Dawn is a safe, secure facility. I have been a customer for many years and have never had an issue. Terri is great to work with a ..."
"Been with Dawn to Dusk for years. Best storage facility in Hemet. Great security, clean facility with excellent customer service. " "This is a great, well secured storage facility. Definitely the nicest one around. Terri works well with her customers and easy to accommodat..."
"Dawn to Dusk has great pricing, great security and the owner Terry is such a sweetheart!" If you need a home for your RV, boat, ATV, motorcycle or automobile, get in touch with Dawn to Dusk R.V. & Boat Storage today.